DISCLOSURE: I received a free sample from Smiley360 to facilitate this review. All opinions are my own. My kids are super picky about what they eat. Some are a little better than others, but they all can be kind of choosy on what they want to eat. So, I worry about whether or not they're getting the nutrients they need. To help ensure they're getting the proper vitamins and minerals, I give my kids multivitamins. Because they don't care for the texture of chewable vitamins and can't swallow pills, I usually buy them gummy vitamins. 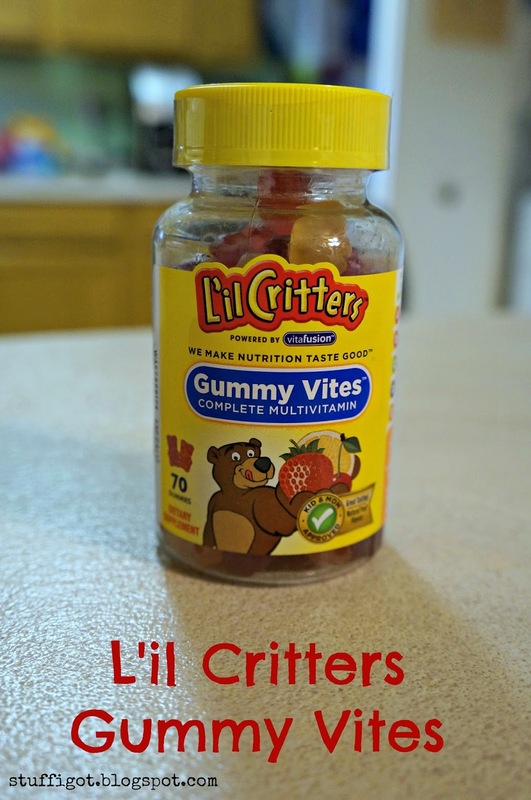 Thanks to Smiley360, we recently had the chance to try L'il Critters Gummy Vites Complete Multivitamins. We've actually purchased it in the past and the kids liked it. But, recently, we've only been purchasing the generic version of the Gummy Vites because of cost. 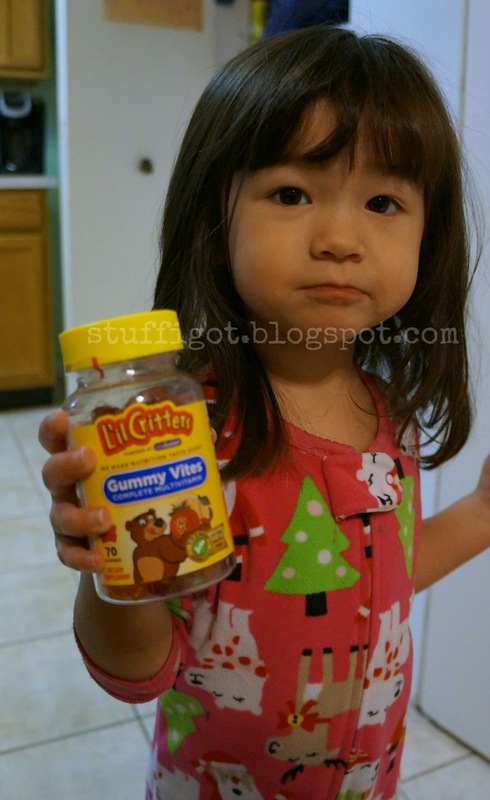 L'il Critters Gummy Vites Complete Multivitamins come in three naturally sourced flavors: cherry, berry and citrus. Each gummy vitamin comes in a fun gummy bear shape. They contain no high fructose corn syrup and contain no synthetic (FD&C) dyes. My kids loved them! L'il Critters Gummy Vites taste great! I even took some. It's almost like candy. So, I made sure they were high up where the kids couldn't reach them. (I had an incident years ago with one of my kids where I found them with an open bottle of gummy vitamins! Poison Control said they should be fine. He's almost 9 now and doing well!) Each day the kids ask to take their vitamin, so that's nice. 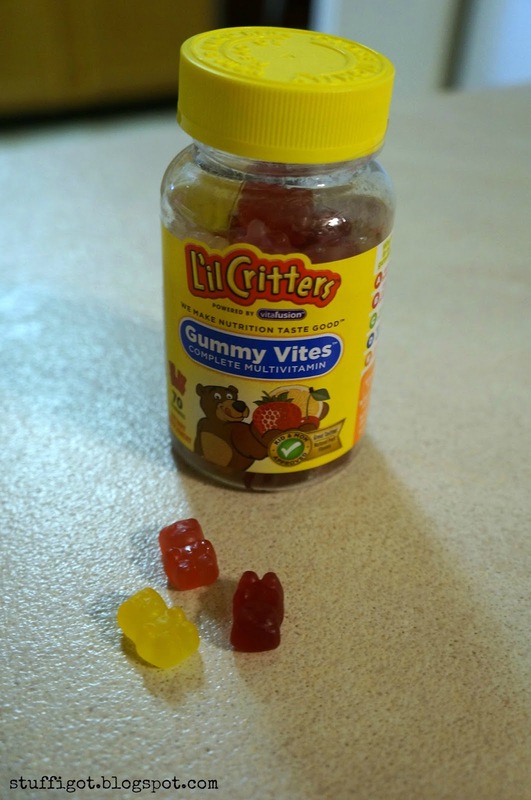 L'il Critters Gummy Vites are available for purchase both in stores and online. Click here to print a $1.00 off coupon!